Shah Sultan Akefi, son of Shah Saydo, grandson of Sayed Hussain, was born in Qalaa-e-Lash village in Kejran District in Daykundi Province (then part of Uruzgan Province) in 1958. He completed his primary and intermediate education in the centre of Kejran District and his high school education at Sayedulkhan High School in Uruzgan Province. In 1977 he qualified for admission to the Agriculture Faculty of Kabul University through the matriculation examination and in order to further his professional education travelled to the then USSR in 1978, where he spent six years and earned an M.Sc. degree at the Kuban Agricultural Institute in the city of Krasnodar. While studying he headed the Afghan Students’ Union and managed Afghan student affairs. After graduation Akifi returned to Afghanistan, where from 1985 to 1992 he worked as a journalist and as a financial, social and political expert with various Afghan socio-political organisations. 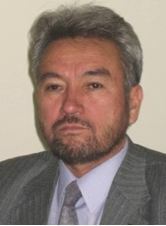 In 1992 he became a fellow of the Academy of Sciences of Afghanistan and attained the rank of Associate Professor in the Chemistry, Biology and Agriculture Centre of the Academy. From 1999 he worked with the International Committee of the Red Cross (ICRC) and USAID’s Accelerated Primary Education program (APEP/USAID) but in 2002 he returned to the Academy and again busied himself with scientific research. In the autumn of 2004 he was appointed Human Resources Acting Head of the Provisional Secretariat of the National Assembly of Afghanistan, an appointment that rests in the discretion of the Office of the President. Following this, as the result of an open contest conducted by the Recruitment Board of the Administrative Reform and Civil Service Commission, he was recruited as Human Resources Director General of the National Assembly in the spring of 2005: he has served as the Human Resources Director General of the Wolesi Jirga (Lower House) since mid-2007. In the course of his professional life Akifi has attended various short-term training programmes in the fields of scientific research, parliamentary affairs (legislation, parliamentary oversight of government activities, popular representation), administrative reform and restructuring, training and capacity-building, structuring, the preparation of strategic plans and codification, educational affairs, management and leadership, both in Afghanistan and abroad in countries such as the United States, France, Germany, India, Morocco, Turkey, Saudi Arabia and Pakistan. In recognition of his service to the nation during the process of establishment of the Provisional Secretariat of the National Assembly, Akifi was honoured with Ghazi Mir Massjidi Khan’s High States Medal in 2006, and further with First Class Certification by the President in 2007 and 2010. In addition he has been awarded Certificates of Appreciation by the President of the Mesherano Jirga (Upper House of Parliament) and the Secretary General of the Wolesi Jirga. Akifi has published more than 20 research and other articles in various fields (including elections) in publications of the Afghanistan Science Academy and the journals Aayan, Shura, and the Law and Society Gazette. Akifi reads, writes and speaks Dari, Pashto, English and Russian.